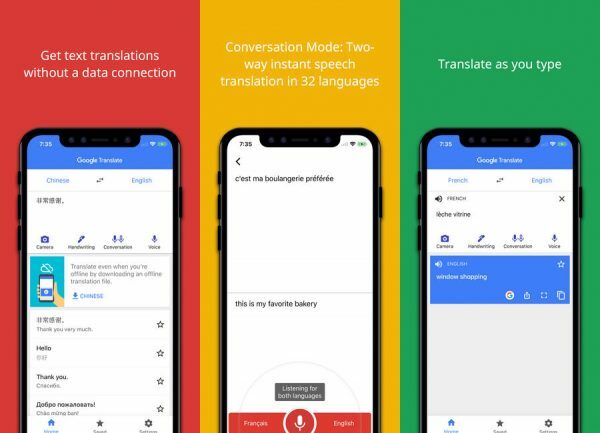 Using Google Translate almost every day, are you tired of Google’s accent? That’s right, for after the Android version, Google Translate has finally introduced the option of accent in IOS version. Currently, Google provides the bilingual dialogue of a total of 32 languages. But you know, like how Indian accent differs from American accent in English, each region has its own accent in all languages. There are often misinterpretations because of the varying accents. ▲Google Translate provides offline translation, conversation mode and instant translation. In the past, the accent of Google Translate is determined by the location. Take English as an example: In American or Asian region, and in Australia and New Zealand, there are American accent and Oceanic accent respectively. 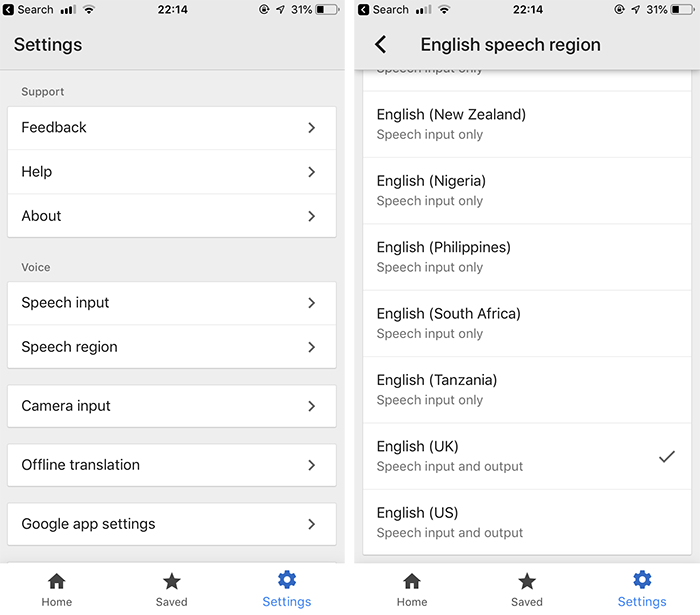 After the update, users could set the accent you prefer, which enhances accuracy and minimises misinterpretations due to the differences in accents in the future. Users only have to go to Settings > Speech region to select the accent you prefer from the options. ▲Users can select preferred accent at Settings. so you can switch between American, British and Australian English whenever you like!